This hiking trail runs from the resort of Les Rasses to the hamlet of Les Cluds, a mecca for winter activities in the region. With its exceptional views of the Alps, from the Eiger to Mont-Blanc, it’s a truly memorable route. 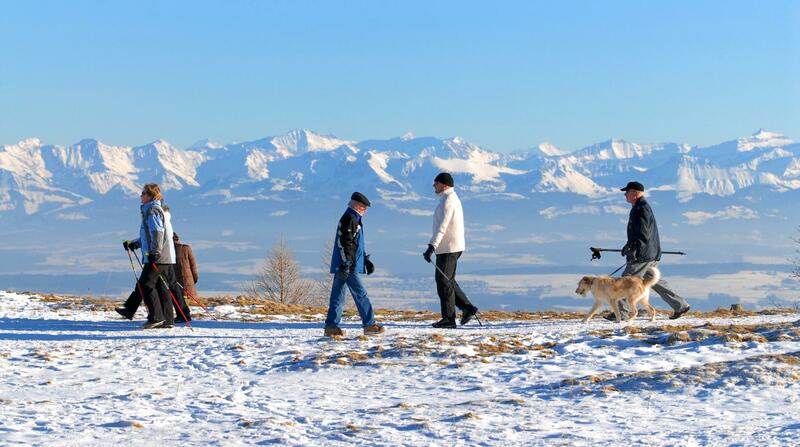 This winter hike offers spectacular views of Mont-Blanc and the snow-covered mountains of the Swiss and French Alps. Starting in the resort of Les Rasses at the foot of Le Chasseron, perched at almost at 1,200 metres, it takes you through snow-covered pastures to the hamlet of Les Cluds. Half-way along the route, there’s a panoramic view board indicating the various peaks including the Eiger, Mönch, Jungfrau, the Dents du Midi and Mont-Blanc. The delicious smell of hot chocolate attracts winter hikers into one of the restaurants located at the start and end of the hike. 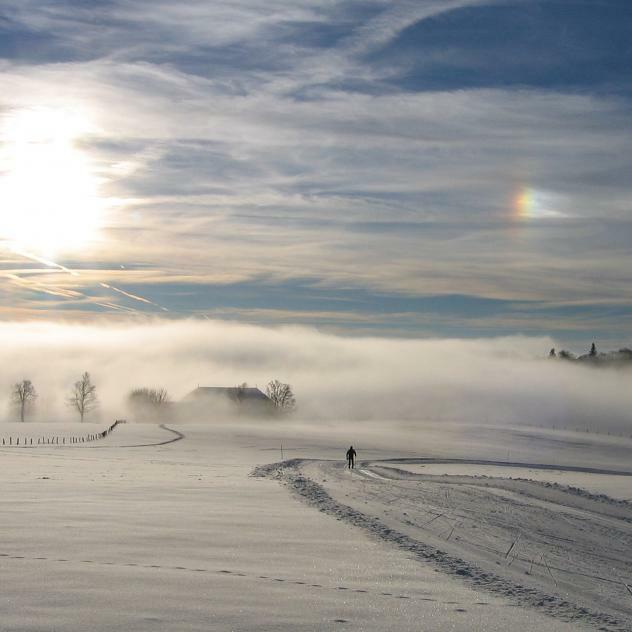 The Sainte-Croix/Les Rasses resort has been known since the late 19th century for the many winter sports on offer, including downhill skiing, cross-country skiing, snowshoeing and hiking. The resort of Les Rasses has 500 free parking spaces with public transport services from Sainte-Croix. So it’s easy to get to this unchallenging, family-friendly panoramic route – perfect for unwinding and recharging your batteries.